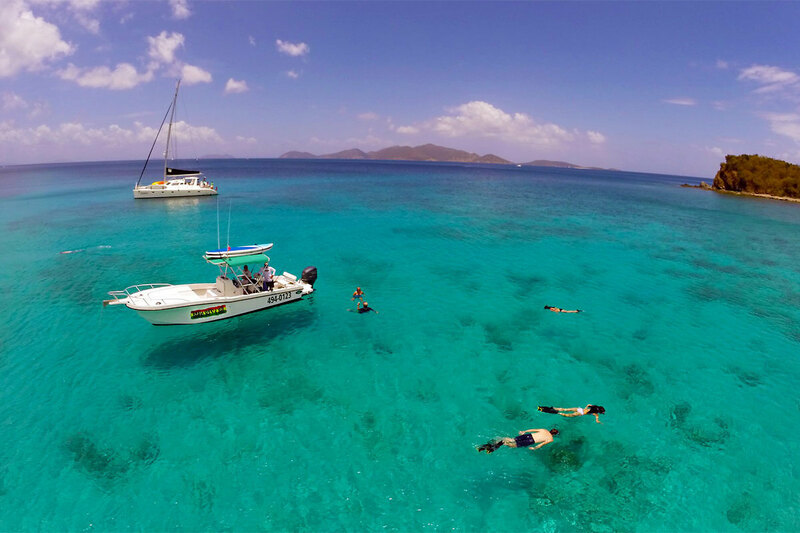 Come join us on board our boat “IRIE” for an incredible adventure in the BVI. At Day Trips BVI, we can create a tailor-made experience just for you, that is fun, safe and unforgettable. So if you like to snorkel, scuba dive, paddle board, go fishing or just want to visit a private cove for swimming, Day Trips BVI will tailor make a day you will never forget! Blessed with powdery beaches, soft breezes, warm waters and an incredible array of life above and below her waters, the BVI is truly one of nature’s little secrets. With our trips you have the luxury of time to see so much more of what the BVI has to offer. Incredible snorkel spots, calm and secluded bays, powdery beaches and incredible waterfront lunches – we aim to please. We want you to have the best day of your vacation with us! On one of our trips, you might be snorkeling with an eagle ray in the morning at the Treasure Caves at Norman Island and other, secret spots, having lunch at the famous Baths of Virgin Gorda, followed by a guided snorkel and final stop at the infamous Willy T on the way home. Captain Debs Says that Today is a Perfect Day for a Snorkel with Day Trips BVI! Day Trips BVI - Our Boat "Irie"